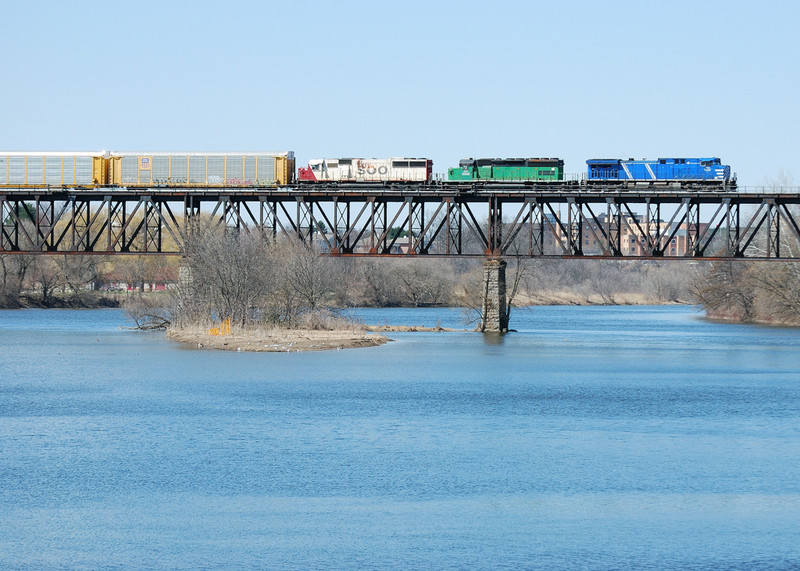 Railpictures.ca - Stefano Photo: CP 244 makes it way over the Grand River with a colourful lashup | Railpictures.ca – Canadian Railway Photography – photographie ferroviaire Canadienne. A lashup such as this has faded away faster than the Maple Leafs. Nice shot! !